Alarm Systems for home and businesses which are monitored live, by trained professionals 24/7. Security alarm systems are only as valuable as the technology, training, and team behind the systems. Our commercial and business security alarm systems start of course, with burglar alarms, but can also include fire alarm systems, entry and exit tracking, panic and hold-up alarms, CCTV systems, and temperature monitoring. Home alarm systems can include electronic security inside and outside along with smoke detectors, medical monitoring, and carbon monoxide monitoring. We’ve been alarm monitoring Fresno businesses as well as homes. 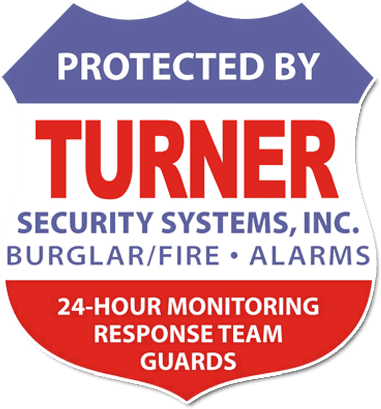 Our Fresno, Clovis, Madera, and Central Valley alarm systems for businesses are monitored by live, professional teams located right here in Fresno. They are based in the state-of-the-art alarm monitoring center which we had built from the ground up. Business security alarm monitoring has come a long way from the early days of an audible alarm to wake the neighbors or an on-site employee. Commecial alarm monitoring works by leveraging video, audio, and digital technology tools, to monitor, track, and create alerts for a wide range of assets that a business or commercial property needs to protect from theft, burglary, fire, trespassing, or other sources of expensive damage. Ready to get a business alarm monitoring system for your store, office, or commercial building? Call 559-486-3466 for a free estimate. At the basic level, a business needs a security alarm system to monitor for unauthorized and unwanted entry either during business hours for secure areas or after hours, when employees and customers are gone for the day. Home security systems should be used only for your home, we use commercial-grade security systems which are reliable and affordable for businesses. We can monitor fire alarms, fire sprinklers, evacuation panels, pump houses, ducts, manual pull stations, and more. Monitoring helps protect businesses from arson, simple human error, electrical problems, and other sources of fire damage. Jewelry, electronic stores, and other retail establishments or simply businesses that are in an area where employees may be at risk inside the business may want to install panic or holdup buttons. These options will be monitored directly from our center and we can get police or you security alerted right away. Your commercial property may not be limited to a building. We can install and monitor outdoor motion detectors and beams to trigger an alarm as soon as someone enters your property or climbs a fence. This is especially important for equipment or storage yards. Keypad access tracking can show you who’s coming in and out of your facility and when. You can set alerts for any time the system is not armed or opened at an unexpected time. This also allows you to instantly revoke or add access when adding or losing employees without having to worry about duplicate or lost keys. Our cellular radio solution can help reduce your business costs of phone lines as well as provide the protection that you need. HVAC units are a target for thieves. Reduce your headaches and frustration (and lower your insurance rates) by using our inexpensive AC unit theft protection and monitoring to stop damage and copper wire theft. Protect your server rooms, frozen food inventory, or other temperature-sensitive rooms or items from damage through undetected power outages, server melt-downs or low temperature freezes.